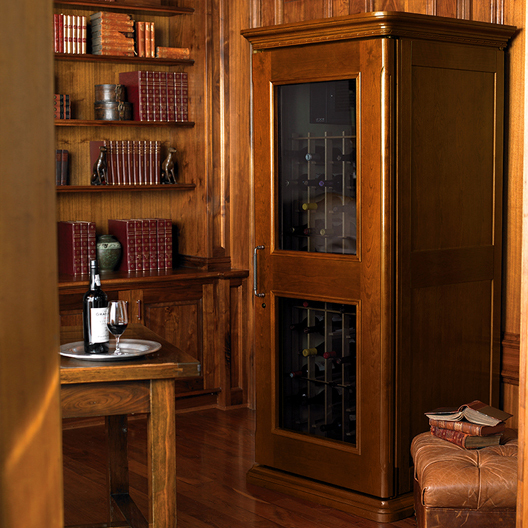 Le Cache refrigerated wine cabinets offer both the fine craftsmanship of luxury furniture and the advanced temperature and humidity control required for long-term wine storage and aging. 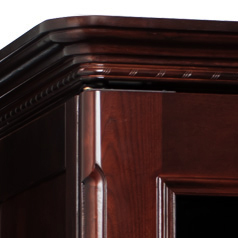 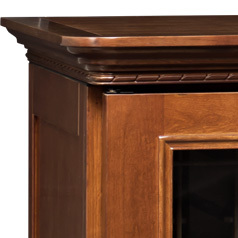 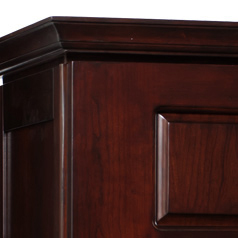 Customers often tell us that our cabinets are even more beautiful in person. 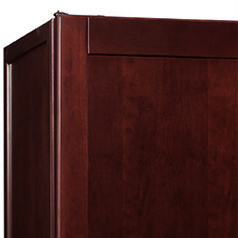 Created by acclaimed furniture designers, our different styles of wine cabinets will complement a wide range of decors. 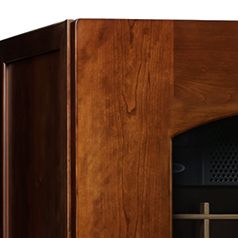 All of our cabinets use CellarPro cooling systems. 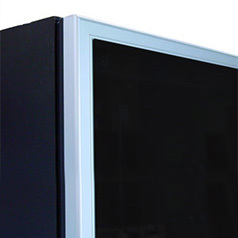 Performance tests show that CellarPro units are among the quietest in the industry and outperform the competition in terms of precise temperature and humidity control. 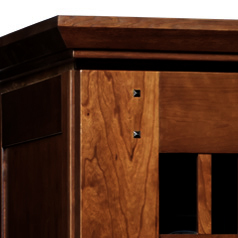 Le Cache cabinets also include all-wood universal wine racking to safely fit even oversized bottles. 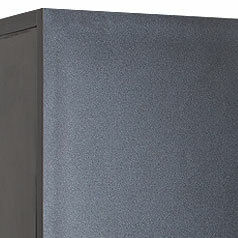 Slightly distressed finishes blend well with a casual-chic décor.